Donald Hutchinson III serves as an investment sales professional specializing in retail leasing for Matthews™. Donald represents both property owners and tenants in full retail leasing and brokerage services. He represents the Westside markets, where he strategizes with his clients in order to find a successful variety of tenants. 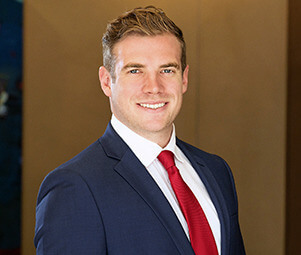 Effectively using his vast market knowledge in broker retail properties and maintaining strong, long-lasting connections with his clients makes Donald a valuable asset to his leasing team. His team represents a wide range of properties, including shopping centers, high street retail, and ground up construction projects. Donald’s ultimate goal is fostering long-term and mutually beneficial contracts between his clients and their best-suited potential tenants.